For many years, Arab Americans were frequently abused by politicians who targeted them in mudslinging tirades and public attacks. In 2000, Hillary Clinton returned money from an Arab Muslim organization because pro-Israel fanatics accused them of supporting terrorism. The charge was false but Clinton returned the money in an effort to strengthen her popularity among American Jewish voters. No one cared about American Arab voters. But that has changed. One of those was the decision by Hillary Clinton in her 2000 race for New York’s Senate seat. She was praised by racist anti-Arab politicians like then Mayor Ed Koch and U.S. Senator Chuck Schumer. Clinton even refused to meet with Arab and Muslim American leaders, until after she won. Chicago Mayor Rahm Emanuel was quick to undermine the involvement of Arab Americans in Chicago government following his first election in 2011, pulling the rug out from under the 4-year-old Arabesque Festival, launched by his predecessor Richard M. Daley, excluded Arabs from his City Hall meetings, and dissolved the Arab Advisory Council, submitting the complaints from extremists in the Jewish American community. But things have changed since those ugly days of anti-Arab racism. Marie Newman for Congress full page Ad in The Future News newspaper, the largest circulation Arab American newspaper in Chicagoland and Illinois. Pritzker privately apologized to a coalition of Arab Americans recently for his remarks made during the heat of the 9th Congressional race in the predominantly Jewish American district. And in recent months, he and other American candidates running in the March 20, 2018 Democratic Primary have put their money where their mouths claim to be. Judge John Andrew O’Meara Ad in The Future News newspaper, the largest circulation Arab American newspaper in Chicagoland and Illinois. Pritzker has been buying up full page Ads in Chicagoland’s popular English-Arabic language newspaper “The Future News.” But so have other candidates. Pritzker’s Democratic challenger Chris Kennedy has not yet purchased advertising, but he has been endorsed by the Arab American Democratic Club after appearing numerous times at Arab American functions. Kennedy has vowed to treat everyone equally regardless of race, religion or ethnicity. Kennedy’s spokesperson and chief political adviser is also an Arab, Hannah Jubeh. Polls in the Arab American community suggest the majority of Arab Americans are supporting Kennedy, who has made at least six public appearances at Arab community events in the past six months. Kennedy will be feted at a breakfast fundraiser hosted by the Arab American Democratic Club at Nikos Restaurant on Sunday Feb. 18, 2018. Front page of The Future News newspaper, the largest circulation Arab American newspaper in Chicagoland and Illinois. Observers note that while Pritzker is a billionaire, Kennedy is a multi-millionaire. Kennedy’s advertising campaign is expected to start in February and will include ads in Arab American publications, a source said. The winner of the March 18 Democratic primary will face-off with Gov. Bruce Rauner who has embraced anti-Arab legislation in Springfield including backing a state version of the Lipinski bill censoring Illinois residents who criticize Israel. Mansour Tadros, publisher of The Future News, said that in 16 years of publishing his twice monthly newspaper, he had never received a paid advertisement from a major American candidate for public office, until this year. Tadros’ newspaper also includes campaign ads purchased by Marie Newman, who is challenging 7-term incumbent Congressman Daniel Lipinski in the Democratic primary. Lipinski came under fire from Arab Americans last year when he cosponsored a radically pro-Israel bill that censors Americans who condemn Israel’s illegal settlements in the occupied West Bank territories. Settlements have been a primary obstacle to peace and are making the creation of the Two-State Solution of Israel and Palestine nearly impossible to achieve. Newman has attended and supported Arab Americans at their political, community and cultural events. Another ad has been purchased by Judge John Andrew O’Meara who was appointed to the bench by the Illinois Supreme Court in 2016 representing the 4th SubDistrict. There are approximately 450,000 Arab Americans in the six county Chicagoland area. It is estimated that about half are registered to vote. The largest pocket of Arab voters resides ironically in Lipinski’s 3rd Congressional district and in the region around it between Burbank on the north and Orland Park on the south. The majority of Arab Americans, more than 65 percent are actually Christian, although the mainstream news media focuses almost exclusively on the needs and concerns of Muslim Americans, the majority of whom are non-Arab. Times are changing. It’s slow but Arab Americans are coming into their own. 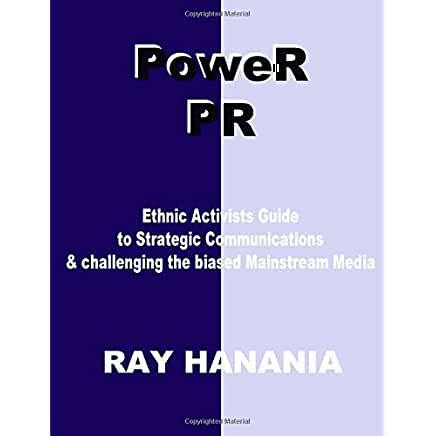 Arab Americans are patriotic, involved in elections, pursuing new careers in not only journalism but also in political consulting. Arab Americans and Muslims who go to the polls on March 20, 2018 should check out The Future News newspaper, and other Arab American publications. If a candidate spends money on our community, we should give them our vote, even if we don’t agree with everything they may embrace. Politics is not about 100 percent. It’s about consensus. If you find that you agree with 65 percent of what a candidate stands for, that should be enough to support them. And elections in America are about supporting the “best” candidate who reflects your views. Who supports your principles, morals and ethnics more? THIS POST HAS BEEN READ 2291 TIMES SO FAR. THANK YOU!